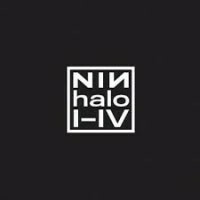 The limited edition Halo I-IV vinyl box set contains the original 12” singles for “Down In It”, “Head Like A Hole” and “Sin” on 120-gram black vinyl and the 1989 version of Pretty Hate Machine on 180-gram black vinyl. Barry says: What better combination of synth obsessives could there ever be than Reznor and Cortini. This is a superb collection, headed up by the seminal industrial metal album 'Pretty Hate Machine', and rounded out with the rare but equally stunning Halo releases consisting of reworks and alternate mixes. A tour-de-force of synthesiser worship, melodic showmanship and most importantly (for me); vivid, black-garment based memories. A1 "Down In It (Skin)"
A2 "Down In It (Shred)"
B1 "Down In In (Singe)"
A1 "Head Like A Hole"
A5 "Something I Can Never Have"
B1 "Kinda I Want To"
B3 "That's What I Get"
A1 "Head Like A Hole (Slate)"
A2 "Terrible Lie (Sympathetic Mix)"
A3 "Head Like A Hole (Clay)"
B1 "Head Like A Hole (Copper)"
B2 "You Know Who You Are"
B3 "Head Like A Hole (Soil)"
B4 "Terrible Lie (Empathetic Mix)"